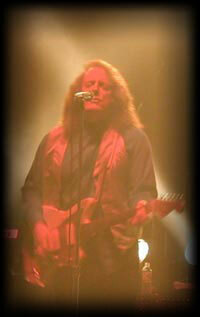 As “Shadow” Mann I only had one album release, one single release, and a follow up that barely escaped. 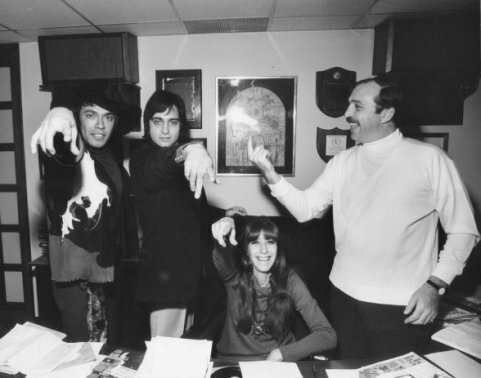 After performing at a Hubert Humphrey Rally in Times Square with Tommy James and the Shondells topping the bill, Morris Levy dropped me as an artist from the label. 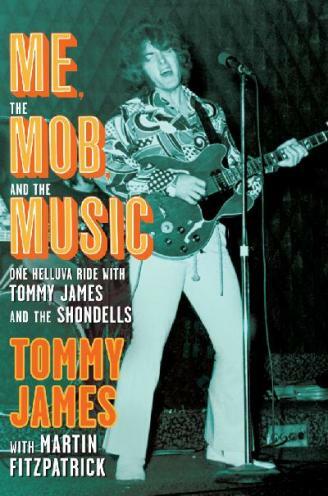 It’s been 42 years since I’ve been in touch with Tommy, and was excited when I heard he had dared to write a book about his experiences with Morris and Roulette Records called, “Me, The Mob, And The Music”. He gave me an exclusive “no holds barred interview” where he made even more revelations than he did in his astonishing tell all autobiography! Tommy- “in 1969, when crime boss Vito Genovese died in prison things were tense up at Roulette. All of a sudden they were having a lot of meetings with all the “boys”, figuring out who his successor would be. Were they going to shoot up the place? Was there going to be a challenge? Morris brought me into his office I shook hands with Vincent “The chin “Gigante, “Fat Tony” Salerno (who Tony Soprano character was based on). I also shook hands with Quiet Don Cirillo, and Tommy Eboli (a/k/a) Tommy Ryan. Then Tommy said he always wondered whatever happened to the “Shadow” Mann? 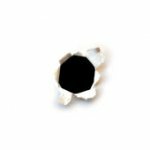 When I told him that I moved to California in 1970, he asked if I heard about the gang wars in New York, between crime families, where 400 gang members were killed…I told him no and confessed that I hadn’t finished the book. Artie – “Our pal, Brooks Arthur wanted me to ask you if you remember working on a album with him, while you’re in the middle of re-negotiations and Morris comes into the studio and demands that you sign a new contract . When Tommy speaks of his complex love/hate relationship with the late Morris Levy, who passed away 20 years ago he still gets emotional. It’s easy to understand what the excitement surrounding “Me, the Mob, and the Music” is all about. Tommy told me a deal has just been signed to bring his story and his music to Broadway by the producers of “Jersey Boys”, and negotiations are nearly complete to bring it to the big screen. After I thanked him for the interview, I took the opportunity to pitch an idea to develop a series of five minute segments for “Classic Hits” and college radio stations, with my friend, “Country” Paul Payton. I’m happy to say that Tommy loves the idea and wants to work on it with us when he gets back from his promotional book tour. Thanks to members of Spectropop , Forgotten hits, Alan O’Day, “Country” Paul Payton, Brooks Arthur, Ed Salamon, Alan Karr, Jim Cassidy, Kent Kotal, Dee Trane, Patti Dahlstrom, Ayrton Mugnaini, Robby Leff, Art Munson, AJC, and Matthew David, for the questions this article is based on..
Special Thanks to Carol Ross – Durborow and Ed Osborne for their assistance in putting this article together. Tags: complete Tommy James interview with Artie Wayne, morris levy, part 3 of Tommy James interview, roulette records, tommy james, Tommy James "Me the Mob and the Music"
When I heard Tommy had written a book, “Me, the Mob, and the Music”, I wanted to read it and interview him before he was forced to hide out or go into the Witness Protection program. I wanted to know more about his music and the stories behind the songs. I also wanted to hear how he finally won his battle with drug addiction. Of course, I wondered what he would say about Morris Levy. A man who up until now has only been whispered about …usually by people who really didn’t know him. After reading “ME, THE MOB AND THE MUSIC”…”All I can say is WOW!!! 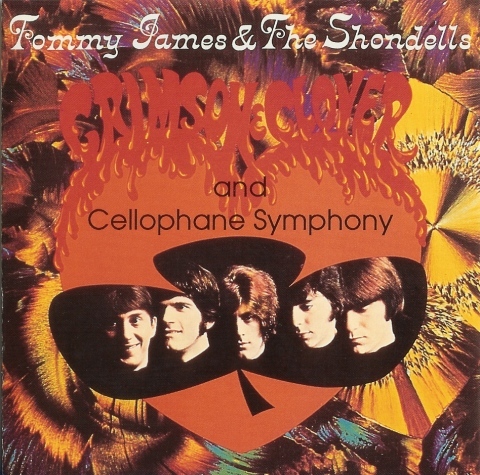 When Tommy James and the Shondells released “Hanky Panky” in 1964, Tommy was still going to High School. He heard a local band, The Spinners (no relation to hit band), play the song at a local bar to an enthusiastic response from the crowd. The next day Tommy checked the record guide at the Spin-It record shop, where he worked, and found it listed as the B-side to a 1963 Raindrops single, “That Boy John.” by Jeff Barry and Ellie Greenwich. Tommy and his group recorded it, put it out, and it bombed! Two years later a local Pittsburgh deejay started spinning it at record hops, which prompted radio airplay and a bootleg, which sold 80,000 records! 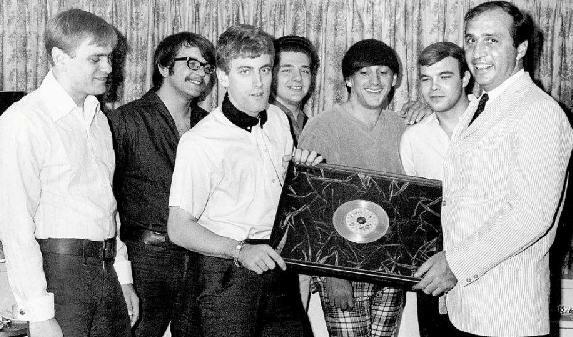 Although I thought “Hanky Panky” was good, I never would have guessed that it was just first of an incredible string of hits that would eventually give Tommy James and the Shondells combined sales of over a 100 million records! 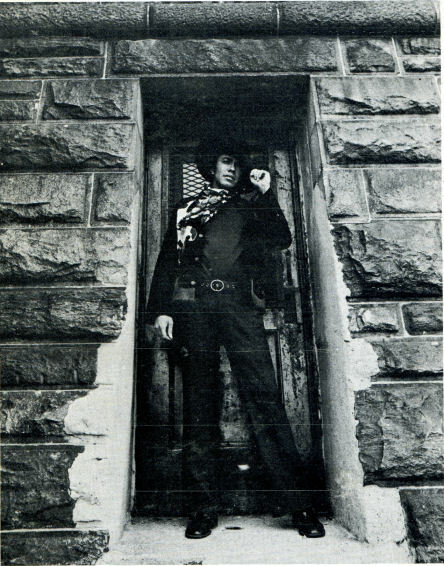 I became friendly with Tommy in 1968, when Morris Levy gave me and my partner Kelli Ross our own label, ‘Tomorrow’s Productions”, distributed by Roulette and sent me on a tour promoting my album as “Shadow” Mann with Tommy, at the Height of his popularity (“Crimson and Clover”, “Crystal Blue Persuasion”, “Mirage”) . “Although I was apprehensive about having a label with Morris and being an artist for the notorious Roulette records as “Shadow” Mann, I felt somewhat safe because my silent partner in my publishing company was Irving Green (who owned Mercury and Smash Records), who was not only my partner Kelli Ross’ father, but also Morris Levy’s best friend. It was during this time that Morris sent me and my protege Sissy Spacek a/k/a “Rainbo”) who was promoting her single, “John, You Went Too Far This Time” (a comment on the John and Yoko naked album cover) to Cleveland to do the “Upbeat” TV show. We all hung out and had a great time until Tommy made us miss our flight back to New York, because he had to go back to his hotel where he had forgotten his stash of hundreds of diet pills. I always considered Tommy James and his records to be ahead of their time, but I wonder how many people know that he was a major creative influence on the Beatles. How many people are aware that George Harrison even wrote a few songs for him (which were eventually passed on because they too much in the vein of “Mony, Mony”). 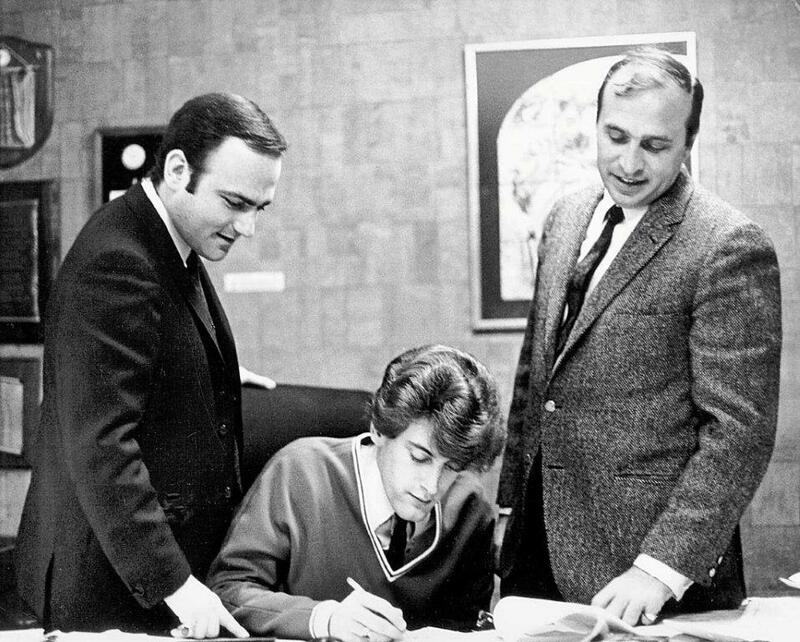 Now I had a chance not only to see how the infamous but charming, Morris Levy and Roulette promoted records, but also how Tommy James made them! One day I was up at the label walking past Morris’ office and I heard some great music coming out. I couldn’t help but stop and put my ear a little closer to the door. SUDDENLY…the door swings open and I’m a bit scared to see a startled, serious looking Morris less than a foot away from me! Then a smile sweeps across his face as he grabs my arm and says, “Shadow…I want you to meet somebody.” Then he introduces me to Tommy James, who brought by a test pressing of his next single, “Crimson and Clover”. From the beginning it sounds like a hit, but when it reaches the end and goes into an electronic chant “Crimson and Clover…over and over”, it sounds like a classic! When my pals at Spectropop and Forgotten Hits, the ‘60s and ‘70s music forums, heard I was interviewing Tommy they submitted six pages of questions. Two of those pages were filled with questions that basically asked, “How did you get that sound on “Crimson and Clover”? The more time I spend up at Roulette I start to believe more and more of the stories I’ve heard about Morris. One day I see him and Nate McCalla, his friend and partner in Calla Records getting off the back elevator with a dozen hot TV sets…giving me the pick of the litter! Although I was honored to sit in on some of Morris’ meetings there were times when I’d leave the room for fear of hearing too much…especially when the conversation would turn to Morris’ favorite forms of promotion…payola and intimidation…besides I really didn’t want to know where Jimmy Hoffa was buried! Tommy James started our conversation this morning by telling me about his first day up at Roulette, when he overheard Morris and some of his pals, talking about beating up some guy for bootlegging his records, then resumed the conversation as if nothing happened. Tommy actually tells dozens of compelling stories in his book, “Me, the Mob, and the Music”, which made my hair stand on end…or laugh, sometimes both at the same time! As “Shadow” Mann I only had one album release, one single release, and a follow up that barely escaped. After performing at a Hubert Humphrey Rally in Times Square with The Ronnetes, the Delicates, Tommy James and the Shondells topping the bill, Morris Levy dropped me as an artist from the label. It’s been 42 years since I’ve talked to Tommy, and was excited when he felt comfortable enough to make even more revelations than he did in his astonishing tell all autobiography! Tags: Morriis Levy, roulette records, Shadow Mann a/k/a Artie Wayne, Sissy Spacek a/k/a Rainbo, Tommy James "Me the Mob and the Music", Tommy James story behind "Hanky Panky"